What is Knocking on Door? Knocking on Door is a lead generation strategy used by investment banking advisorsFinancial Analyst Job DescriptionSee a real Financial Analyst Job Description including all the skills, experience, and education required to be the successful candidate for the job. Perform financial forecasting, reporting, and operational metrics tracking, analyze financial data, create financial models looking to secure prospects for business while keeping expensesFixed and Variable CostsFixed and variable costs are important in management accounting and financial analysis. Fixed costs do not change with increases/decreases in units of production volume, while variable costs are solely dependent on the volume of units of production. This guide teaches an analyst the fixed vs variable cost methods at a minimum. The strategy started in the early 20th century when insurance agents would go knocking on people’s doors. There were no fax machines, mobile phones, or internet, and the agents had to physically go and collect insurance premiums while selling other insurance products to their prospects. Other professionals who knocked on doors included the postman, milkman, and census taker. Even with the advancement in technology, knocking on doors is still a useful sales strategyCorporate StrategyCorporate Strategy focuses on how to manage resources, risk and return across a firm, as opposed to looking at competitive advantages in business strategy for various industries in the 21st century. Knocking on door is ideal for two types of products, i.e., products that require demonstration and products that generate a lifetime customer value. For products that require demonstration, the seller must provide instructions to the clients and explain how their product is better than its competitors. Such products include cleaning detergents, insurance products, personal investment services, and beauty products. On the other hand, products that generate a lifetime customer value include pest control, home alarm and private security services, solar installation, lawn services, and internet installation. These products require continuous support and the advisors must visit the customer’s home when necessary. Some advisors enter the market with only a small budget that may not be adequate to cover marketing costs. New advisors find door-to-door selling a friendlier option than waiting until they accumulate enough capital to fund their business through advertising. The biggest cost would be fueling the car and printing some essential materials like fliers and business cards that contain their contact information. This method is not only cost-effective but also more efficient in getting clients than cold calling and online advertisements. An advisor may decide to knock on doors after completing appointments in an area. The advantage of this method is that the advisors can use the prospective appointment as a referral to solicit more prospects in the area. Where the prospective appointment is satisfied with the services provided, he/she may recommend the services of the advisor to neighbors, making it easy to land even more clients. Some advisors prefer the face-to-face setting of selling their brand to prospective clients, rather than doing cold calling and using direct mail to generate leads. The goal of marketing is to convert interests into actual sales, and knocking on door provides a platform to get in front of more people and get more clients. Some may use this technique alongside other effective techniques such as internet marketing and internet ads. A face-to-face interaction is more effective than a telephone conversation or direct mail. A study by the Harvard Business School revealed that a face-to-face message results in 13 times more brand recall than a message delivered through other marketing pieces. Advisors can make a lasting impression and build trust that cannot be achieved through other marketing methods. At a time when corporations are focusing more on radio, television, print, and online ads, real human interactions show greater impact. However, the ability of advisors to handle the high level of rejections that comes with knocking on doors determines how successful they will be in the field. Unlike other methods of generating leads, the cost of running a knocking on door marketing campaign is close to zero. The advisors can knock on doors, introduce themselves, and land several clients within a short time. The only expenses would be business cards, door hangers for absent prospective clients, gifts, fliers, branded coffee mugs/t-shirts and comfortable shoes. New advisors with a shoestring budget often prefer this method. With most companies focusing on advanced marketing methods like telemarketing, seminars, and direct mail, only a few advisors have the energy to walk outside and cold knock prospects. Also, most people view knocking on door as an outdated method. 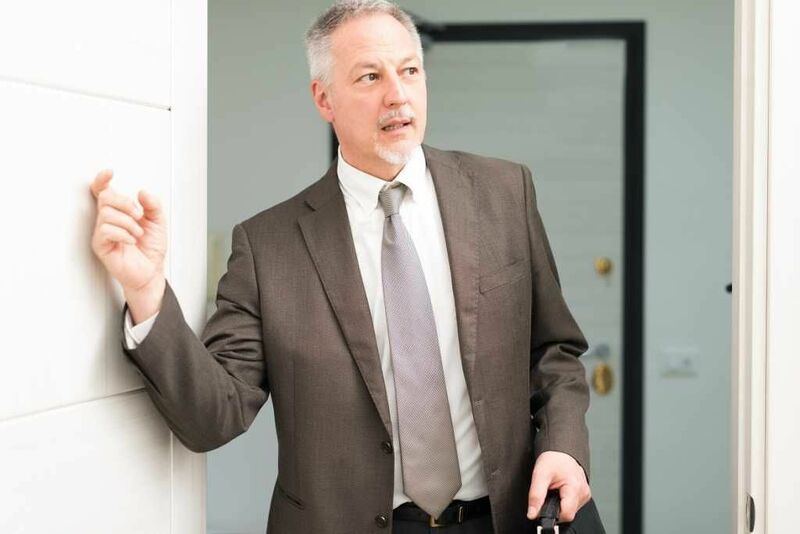 This makes advisors who knock on doors stand out from the rest since they are the only ones who made a face-to-face interaction with prospects who have probably received dozens of phone calls or direct mail. Knocking on doors provides advisors with an opportunity to establish themselves as the go-to financial planning advisors in the locality. Edward Jones, a financial planning company, advises its advisors to knock on a certain number of doors before they can position themselves as the go-to brand. An advisor can start by getting out of the office and creating awareness among the locals. An advisor can then open an agency within the area once they have amassed clients within the locality. In the current digital age, consumers visit online sites to find information on products that they want to buy. As they search information online, they also get product recommendations that they can purchase online without visiting the stores. This leaves door-to-door advisors at a disadvantage, since they may cold knock prospects who already own or have information about a product. To keep up with the changes in technology, advisors can create websites that they can use to reach a broader client base. Some states have “no solicitation” laws that limit advisors from going to any house within the state without a permit. They are required to pay a fee, sign up a permit, or notify authorities about the intended visit. Failure to comply with these laws attracts hefty fines and even jail terms. For states with such laws, advisors should either comply or visit states or areas without such laws. The decision on whether to visit or not visit an area may depend on the weather temperatures in an area. Some areas have extreme temperatures at certain times of the year that may force advisors to alter their door knocking schedule. If an area experiences high temperatures from midday, advisors may plan to visit the area in the morning hours, without inconveniencing the residents. During the cold season, advisors may prefer to work in the afternoons when temperatures have risen somewhat. Thank you for reading CFI’s guide to knocking on door. To further your financial education, the following resources will be helpful. eCommerce Business Modelse Commerce Business ModelsThere are a wide range of eCommerce business models. Marketplaces, retailers, and brands compete for business in eCommerce. This overview outlines the most popular types of eCommerce business models. Value AddedValue AddedValue Added is the extra value created over and above the original value of something. It can apply to products, services, companies, management, and other areas of business. In other words, value-added is the enhancement made by a company/individual to a product or service before offering it to the end customer.